Families looking for the perfect outdoor adventure need to look no further than the mountains of North Carolina. From long hikes to mingling in picturesque towns, there is so much to see and do that is within reach of your North Carolina Mountains vacation rental. The beautiful scenery is right out your door, and scenic drives along the long and winding, not to mention uncongested, roads are a must do. If settling into a tidy cabin in the woods is your thing, then the whole family can enjoy a comfortable and restful vacation. There is much to see and do in the region, however. The mountain country of North Carolina has unique cultural centers, such as Bryson City. From here, you can hitch a ride on the Great Smoky Mountains Railroad or learn about the area's diverse history at the Storytelling Center of the Southern Appalachians. Get prepared for an adventurous raft ride on the Nantahala River, rent a bike, or kayak on a peaceful lake. At day's end, you don't have to be cramped in a hotel or motel room when you stay at a North Carolina Mountains vacation rental. Relish in the pleasure of comfortable space, and even make a healthy dinner in the kitchen. There are many towns amongst scenic vistas, historic buildings, and plenty of outdoor recreation, including Murphy. Dine at the town's restaurants or fish in the trout streams. You may even want to bring your catch back to the North Carolina Mountains vacation rental for a meal! Beech Mountain offers everything outdoors you can possibly imagine, during every season of the year. Think small town with the ultimate rural recreational experience. Whitewater rafting, fly-fishing, rock climbing, and hiking are just a few activities that you can spend the day refreshing your mind and body. A vacation like this doesn't have to break your budget either. 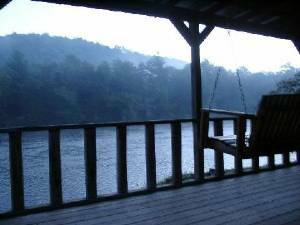 Each North Carolina Mountains vacation rental offers so much, and in comparison to the usual hotel or motel room, you might find it to be the perfect match. If you like small towns and beautiful lakes, then Lake Lure is the place to go. Whether you are on the clean, freshwater lake or admiring the view from Chimney Rock, it is an extraordinary time. While you're driving along the Blue Ridge Parkway, you might also find Maggie Valley to be the ideal family destination. You'll find all of the great outdoor activities plus food and music. There is nothing like a memorable vacation than one in which you can have the best time indoors and outside. Families with kids will appreciate the extra living space and separate bedrooms, along with the peace of mind and leisure that go with a North Carolina Mountains vacation rental. Pick your spot in the North Carolina Mountains and contact an owner of a North Carolina Mountains vacation rental today to find out about the ideal options available. The luxury does not have to go farther than the proper comfort you'll experience every minute of your stay. Families with kids will see the benefits upon walking in the door, and have an extraordinary time that will be talked about for years to come. Check out nearby Asheville , Banner Elk , Beech Mountain , Blowing Rock , Boone , Bryson City , Cashiers , Cherokee , Dillsboro , Hendersonville , Highlands , Jefferson , Lake Lure , Lake Nantahala , Maggie Valley , Murphy , Nantahala , Old Fort , Robbinsville , Seven Devils , Spruce Pine , Sylva .